Is anyone else freaking out that it’s July? I guess I feel like summer is flying by even though mine started in May…but really, where did June go? If the summer could slow down a bit, it would be much appreciated! I mean, I was having flashbacks to the horrible winter the other day….Nightmares I tell you! Haha! Here’s to a very long and hot July and August. I was trying to think of things I wanted to do this summer, bucket list wise, but nothing much is sticking out. I even linked some articles below that had some fabulous ideas. I think I need to go back and read them again! I always think I’ll do certain things, but then they never happen. Every year it’s the same thing. Not sure if that’s bad or just good. Let life happen and not put pressure on myself to do a certain thing. Eh, still, I think it’s fun to make at least a mental list of some fun things to do! Anyway, I hope you have a fabulous holiday weekend with tons of food and family time! Maybe make some pasta salad and potato salad too 😉 See fireworks and light sparklers (my favorite!) I always loved sparklers as a kid. Fireworks though, not so much. I think they are so boring! (Firework hater right here <—-) It’s not like they change every year you see them or during the long hour that they’re set off. Haha, I’d much rather wave my sparklers around and write my name in the smoke 😛 Who’s with me? We are just to close to the situation or problem. I feel much better living more minimalist. Some strategies to help you ease through. When there’s no limit, you can achieve more! It isn’t even human to never feel bad. Certain experiences can actually be amazing learning opportunities. Time to get focused and productive! This girl has such a bright soul! All really great essential stuff you should be doing! If you’re feeling it about anything, change that and be jealous of yourself! The world can be a sucky place, but there’s also so much good and beauty! Haha, this made me laugh, but it was so good to listen to! The benefits and need for movement are one of the most important things in life. Do you ever get anxious before a tough workout? What an awesome transformation of self-worth! + Is Exercise Causing You To Gain Weight? That’s not necessarily a bad thing either! + Is Yoga Losing Its Real Value In Translation? This is exactly what I was talking about! I love burpees! They are such a great full-body move! Added a bunch of these to my list! Because it’s the ultimate fruit season and you need to know! Veggie burgers always win and all of these are just over the top! Hahaha, this is hilariously legit! Great strategy to keep your stress at optimal level! + Can You Really Reverse Food Allergies? It depends on the cause. Maybe leaky gut? I think everyone could learn something here! This is fabulous to hear! This needs to happen with every med student! Options for however much time you have, all under an hour! Just follow your own intuition and “rules”, end of story! All this awesome videos in one place! Love! My analytics are messed up so I have no idea what mine is, haha! This was a great motivating read! Ah! So much better to work with a few and not a new one every week! Be real! I think I want to print these out and frame them above my desk! Just the obligatory SITS girl ideas! This is a fantastic guide! This is how to never over pack those damn clothes! O the anxiety of going alone! Great ideas! Some of these I haven’t thought of! More great things to do now! Learn what clothes you should hang and what to fold! Perfect! Omg! That’s it! #1 is my calling! 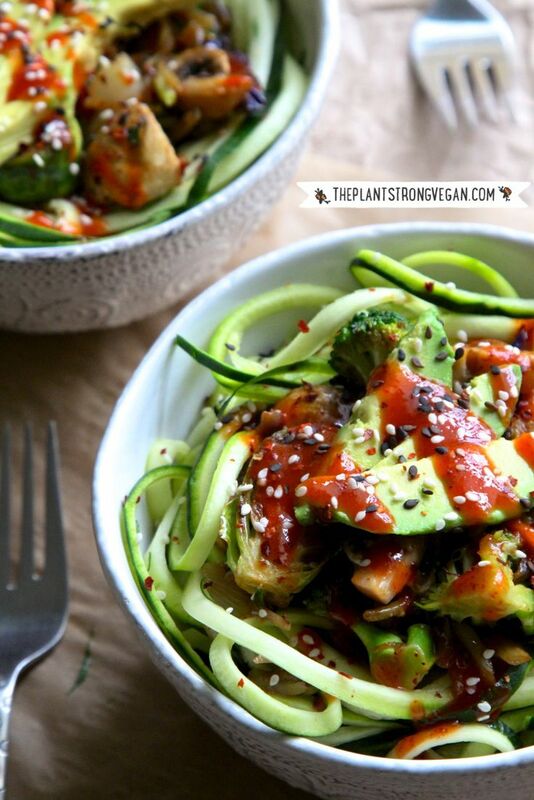 Soba And Zucchini Noodles With Thai Basil Pesto. Look at that great pesto! 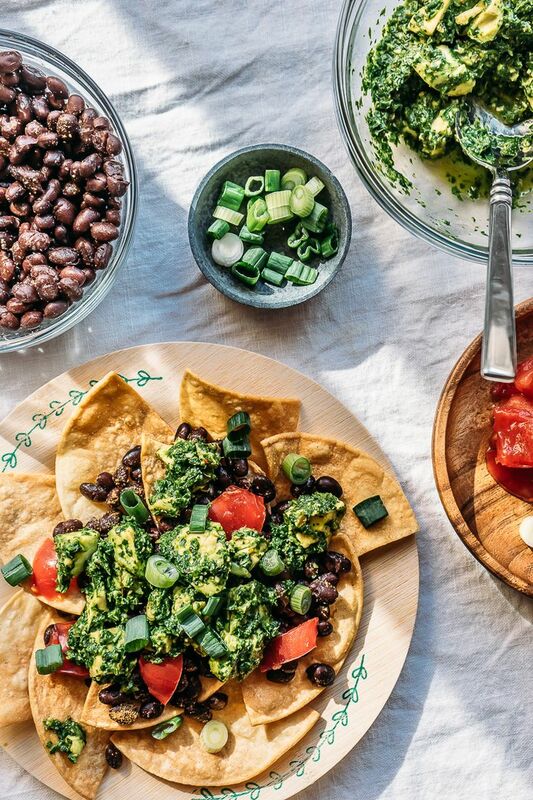 Nachos with Picked Chili Chimichurri. I haven’t had nachos in so long and this looks like a great place to start! Chakalaka. This sounds so fantastic! What a great South African dish! 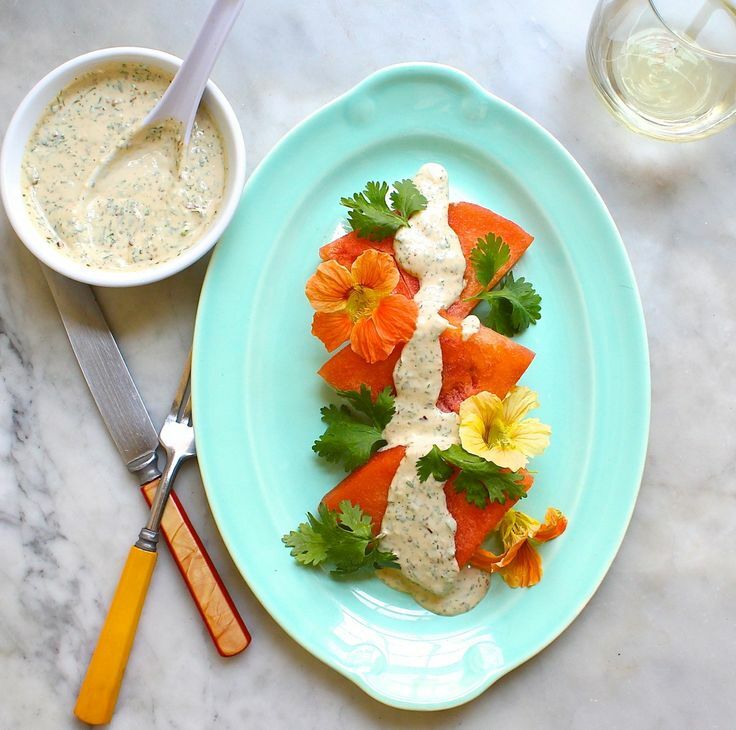 Watermelon with Spicy Tahini Sauce. Now that’s a new way to pair tahini! Raw Fudge Brownie Chunk Ice Cream. Wooh! The best vegan ice cream? 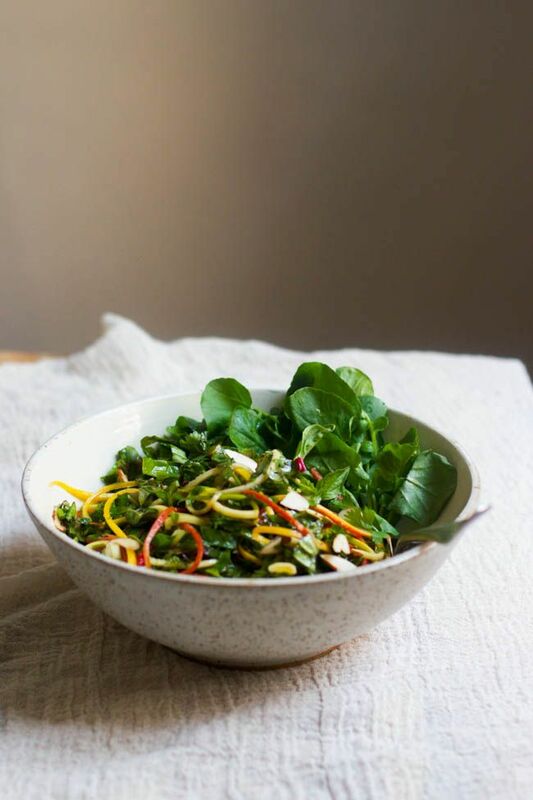 Rainbow Chard Coleslaw with Mixed Herbs. Now this is a coleslaw! 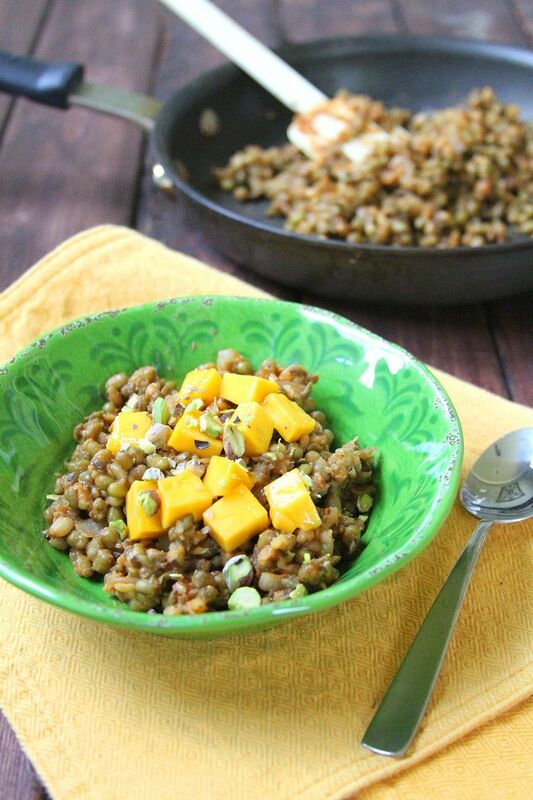 Skillet Style Mung Beans with Mango and Pistachios. This just looks and sounds like a fabulous dish to try! 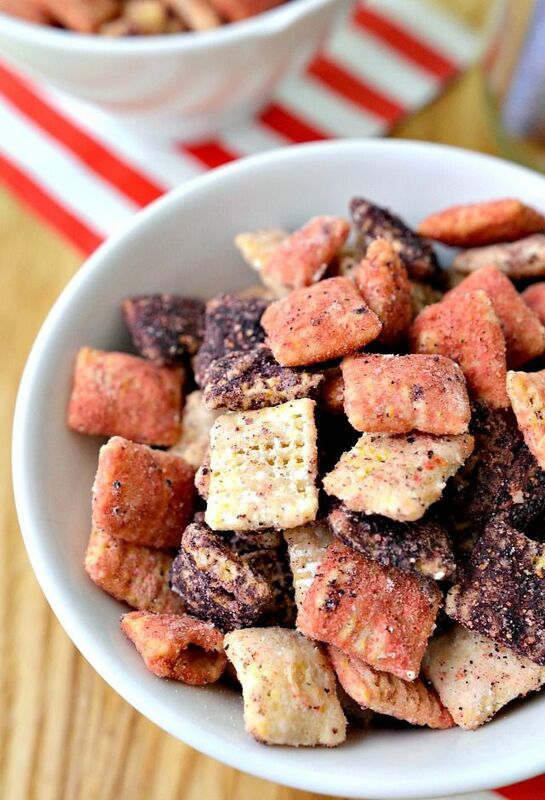 Berry Yummy Red, White, And Blue Muddy Buddies. Weee! Happy 4th of July! 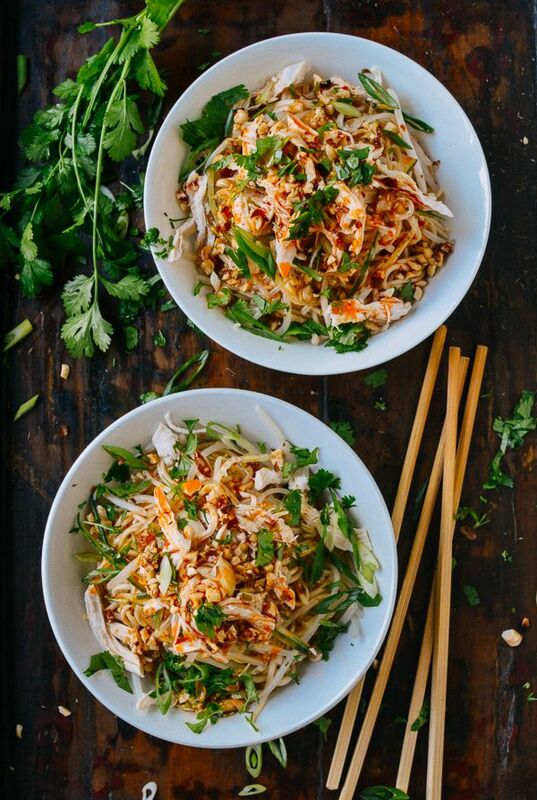 Cold Noodles with Shredded Chicken. I’ll take 5 bowls of this, please! No Churn Tahini Cardamom Ice Cream. 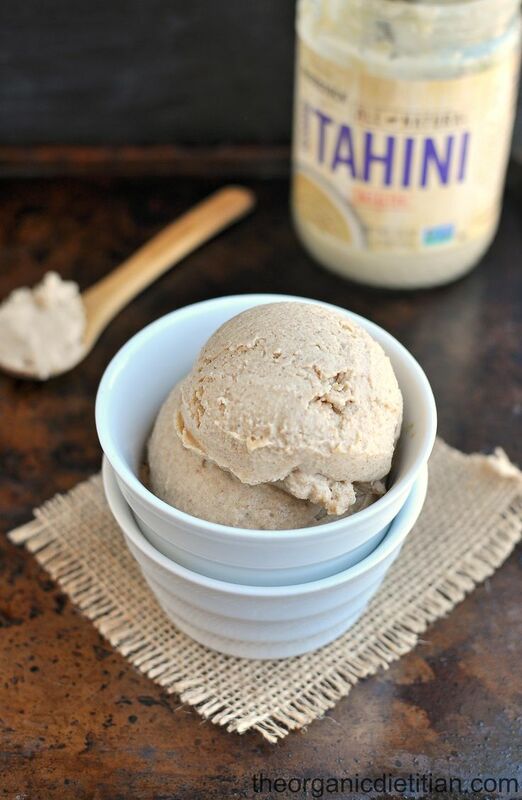 I saw the word tahini and just knew it was meant to be! 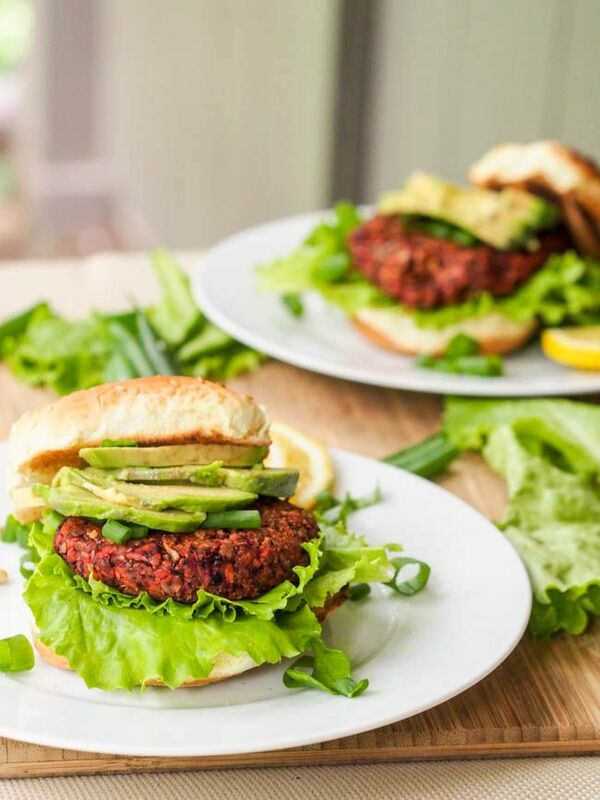 Superfood Vegan Veggie Burgers. I think these are the most nutrient packed burgers ever! 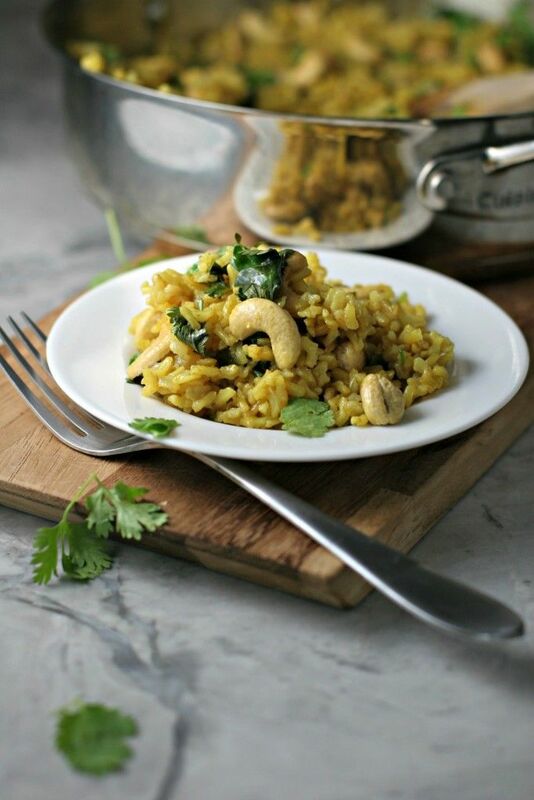 Curried Rice and Cashews. 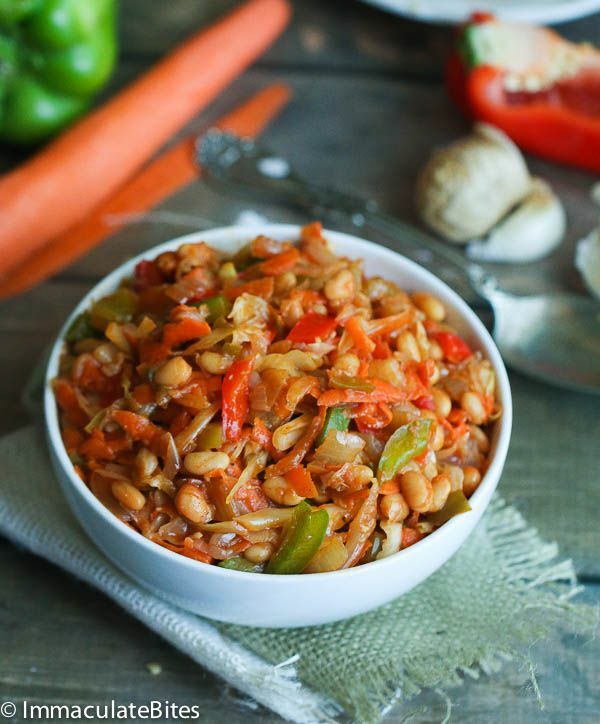 This dish is so simple, but such comfort food to me! 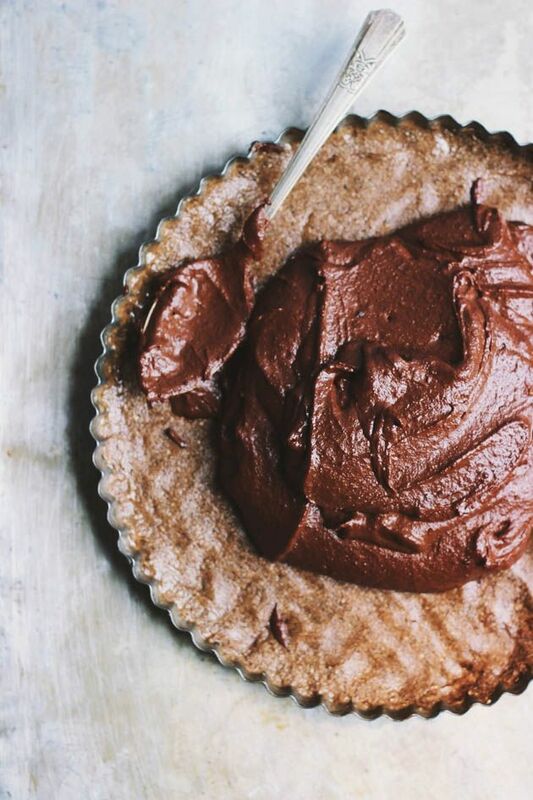 Raw Chocolate Tart with Cashew Coffee Crust. It’s too stunning not to share! Korean BBQ Zoodle Stir-Fry Bowl. This sounds fabulous! Plant-based bowl of flavor and goodness! 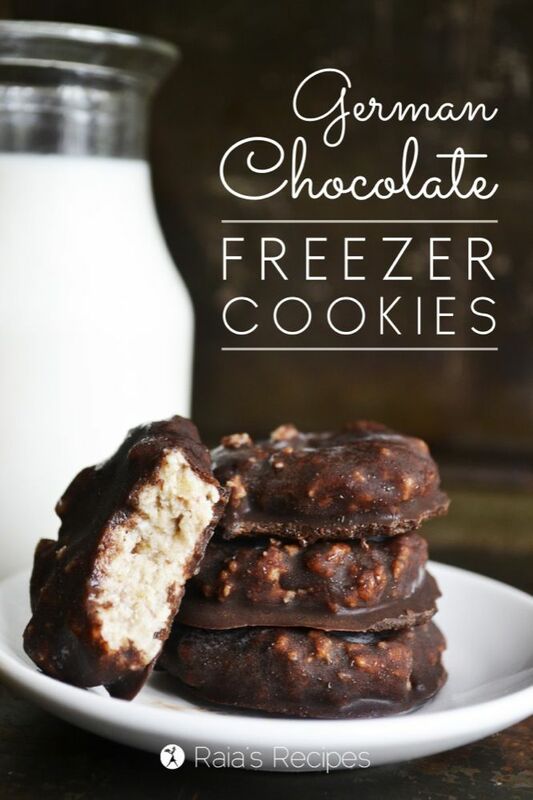 German Chocolate Freezer Cookies. These sounds awesome! I love freezing every type of sweet treat! + I started a new series on Netflix! Dexter! I’m about done with the first season, but so far so good. Have you watched it? + More on the entertainment front, I’ve been obsessed with listening to podcasts. Notably the fabulous Jamie Ivey and her Happy Hour chats! Amazing! + How are you sending this 3 day weekend and holiday? Nothing exciting here, but that’s okay with me! + What’s your favorite podcast to listen to? I love the chatty ones, not so much the in-depth learning ones 😛 Easy listening! + What’s on your summer bucket/want-to-do list? Summer is going by quickly! No need to worry about what to do – just enjoy it. Just see what happens =) That’s the best way to enjoy summer. I used to always try and make a bunch of plans during the summer, but felt stressed and didn’t even have that much fun. Now I just go with the flow and see what happens. 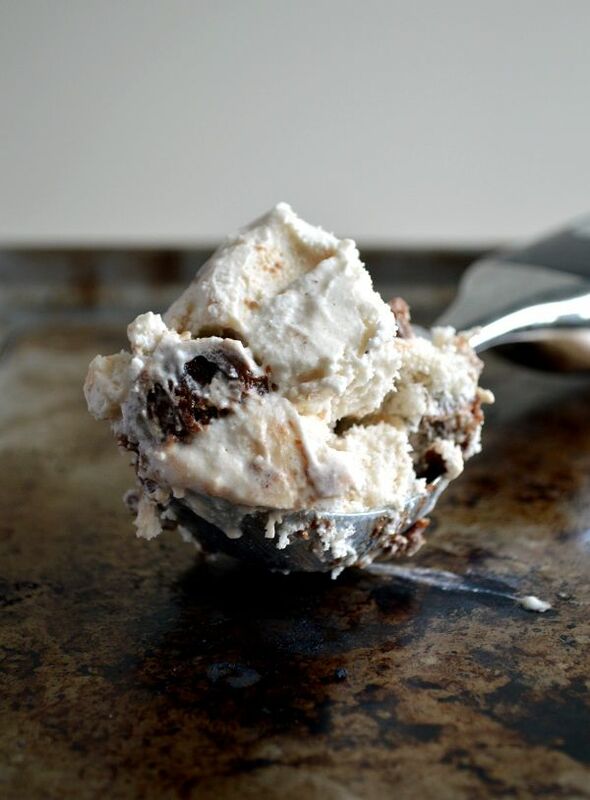 The raw fudge brownie chunk ice cream will be making it into my dessert rotation during this hot summer! Yea! Just go with it, no expectations! Love these … as always! I’ve been extra aware of food waste since watching the documentary Just Eat It and have been looking for ways to use the ‘scraps’ like herb ends. That link was perfect for me! I am such a huge advocate for preventing food waste! I will find a use for everything! So curious about that Tahini Ice Cream! Thank you so much for linking up to Merry Monday this week! I am sharing your post today on our MM Pinterest Board! We hope to see you next week for another great party! Have a great week! I am eating breakfast as I read, but am now craving the Raw Fudge Brownie Chunk Ice Cream. Looks amazing! I enjoyed the blogging tips post. I love that “You Should Publish On A Regular Basis” is on this list. I struggle with that one. It’s not realistic for me to post multiple times per week, so I’m happy to get the feedback that it’s OK! Thanks for sharing a great list. Enjoy your week!! As long as you’re consistent, I think that’s what matters most! Thanks for sharing my freezer cookies, Rebecca. 😉 Definitely going to have to check out that tahini ice cream! Haha, thank you Katherine! You’re such a sweetheart! I can’t believe I’ve only just found your blog! My Saturday will now be filled with your amazing sounding recipes. 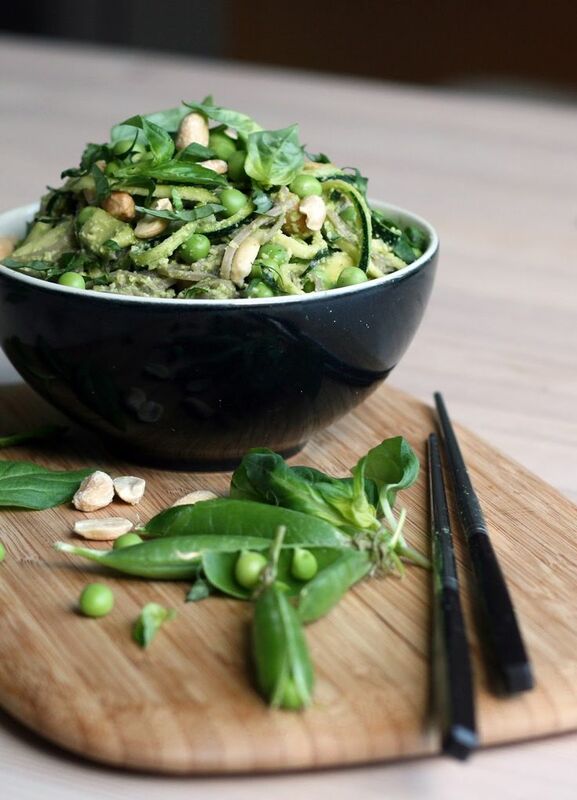 That pin of the Thai basil pesto courgette salad looks so tasty. Haha, well I’m so glad you found me Chiara! It really does need to slow down…seriously! Omg, so many crazily amazing links!!! I can’t cope – there’s so much I need to read. I definitely need a bowl of that curried rice with cashews! Totally agree with the ‘5 Simple Ways to Live an Abundant Life through Self Simplicity’ too, I’ve been trying to cut down on having so many possessions, and I feel so much better now for doing it, and living more minimally! Doesn’t that dish just look so simple and lovely! Yum! Me too! I seriously have really cut out a lot of things I no longer need, learned what I do truly need, and am feeling better about having less! O my goodness! That’s one of the earliest! Ah! i know, crazy! i feel like it was just yesterday i was astounded that it was June! and now it’s july!!!! Spent a good part of my morning zipping through these articles. I always learn so much from your finishers and feel so much more empowered and ready to attack life head on with as much love and positivity as I can! I truly enjoyed that numbers blog post as someone who has a lot of anxieties over my body and how much I eat. Ive been trying to just do what DoYouYoga suggests and treat my body as a temple. Im glad Im not the only one who likes to remain positive in reference to the post on looking for the helpers. I try to look on the brighter side of even the darkest cave, because there’s always a light at the end of the tunned. Much love Rebecca! I’ve got to work on looking for the good ins situations! I know I don’t most of the time, I’m too much of a realist! I really don’t understand how it’s July already! So crazy. I currently have like 432743 tabs open on my computer as usual after going through these posts haha! I’ve seen every episode of Dexter and it’s one of my favourite shows ever – so good and so addicting. My mom watched it all and loves it, so that’s good…I know I’ll continue to like it if everyone does!! Wooo! What an awesome list of posts! Thank you so much for mentioning mine–I hope it encouraged you! I loved that Buffer post about Pinterest as well! I subscribe to their newsletter because they always have great content! I saw that post last night! Totally interesting! I also love freezing sweet treats! So much good stuff in this post – food and otherwise. Going to read the article on blog growth first since I’ve been feeling sort of discouraged lately and need a boost! Also that vegan ice cream looks insane. Seems like paleo and vegan cross and mesh with frozen treats! All the raw bites I’ve started making go right to the freezer! I love having them cold and a bit chewier, but they don’t totally freeze of course! It is half over. That is fine by me. I live in Florida and it is HOT and HUMID! Love all your wonderful allergy-free recipes. You rock! Have a safe and happy 4th! No way! I’ll gladly take your place down there! I try to put together the best! You know I love my freeze-dried fruit! It’s a must for granola! I’m actually happy that the summer is flying by. Sorry, not sorry, try it at 115 degrees. All those food pictures are making my stomach growl even though it’s only 5:30 in the morning! I will swap places with you! Summer has totally flown by!! EEEK! So happy for a fun weekend, though. Hope you have a great 4th of July too 🙂 I love the Chalene Show podcast!! Always something to learn, but nothing TOO crazy…and they are short!! It’s crazy! Time is crazy! It needs to stop! I’ll totally check that one out! Although, I love long ones! Haha at least an hour! Ohhh so many great things I want to read in this round-up! I know! I need to get out and do something fun in the sun! That ice cream….I say we need to eat that, outside, on the beach! O no….I would be dieing….but you are a star! I know you’ll kill them! Omg…..especially the first time…you will never forget! Hahahaha! Lots of good pins this week. Making me want dinner now! I’m spending time with friends this weekend doing a few different things in the city. I’m with you on summer flying by…craziness. Haha, breakfast, dinner, all the food! Have fun! You should have tons of exciting things to do in the city! XOXO Savor it!